Thiruvananthapuram: It was a neighbour screaming in pain 35 years ago that set M.R. Rajagopal on the path to his nickname: India’s “father of palliative care." “He was dying of cancer, with lots of tumours on his face and scalp," Dr Rajagopal recalled. “His family asked if I could help, and I couldn’t—I was just a medical student." Today, the same neighbour with the same cancer would almost certainly die the same way—unless he lived in Kerala, where Dr Rajagopal runs his Pallium India clinic here in the capital. 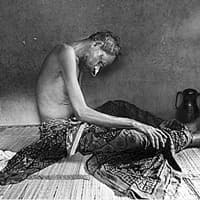 Although opium was one of the chief exports of British India and the country still produces more for the legal morphine industry than any other country, few Indians benefit. They end up like millions of the world’s poor—spending their last days writhing in agony, wishing death would hurry. About 1.6 million Indians endure cancer pain each year. Because of tobacco and betel nut chewing, India leads the world in mouth and head tumours, and has high rates of lung, breast and cervical cancer. Tens of thousands also die in pain from AIDS, burns or accidents. But only a tiny fraction—Dr Rajagopal estimates 0.4%—get relief. Clinics dispensing morphine are so scarce that some patients live 500 miles from the nearest. Kolkata, a city of 14 million, has only one. “For a poor person here, that means just forget it," said Mhoira Leng, a palliative care expert from Scotland. “It goes from dire to dreadful." The exception is Kerala, where Dr Rajagopal practises and about 80% of India’s palliative care is delivered. A small slice of the South-West coast, it is sort of India’s Massachusetts: it has a mere 3% of the population, but high literacy rates, responsive local leadership and a bent for bucking Union government. The state government allows any doctor with six weeks of training—which Dr Rajagopal provides—to prescribe morphine. Elsewhere, the state laws enforcing the Narcotic Drugs and Psychotropic Substances Act, passed in 1985 to curb drug trafficking, are complex and harsh. The book outlining them is 1,642 pages, and even minor infractions can mean 10-year sentences. Legal morphine use in India plummeted 97% after 1985, reaching a low of 40 pounds (about 18kg) in 1997. It has since crept up. “India is a regulatory morass," said David E. Joranson, director of the Pain & Policy Studies Group at the University of Wisconsin medical school. “It is controlled by the ministry of finance, and the rules are based on excise regulations that go back to the British Raj." Each shipment requires five licences. Pills must be locked in two-key cabinets. When patients die, families must return unused pills—sometimes a struggle in a country where the dead may be cremated with their medicines. “It’s a vicious circle," Dr Rajagopal said. “If a doctor does get interested, he runs into all these objections. And he eventually loses interest." And raising that interest is a struggle, because most were taught notions long faded in the West—that morphine inevitably addicts and kills. Dr Rajagopal lectures constantly at small hospitals. Morphine can be tapered off, he teaches. And with pills, rather than injections, accidental overdoses are almost impossible. Dr Rajagopal’s manner is soothing—he sits on beds, holds hands and even strokes patients as he questions them. “For a senior doctor in India, that’s just unheard of," Dr Leng said. “They usually keep a formal distance." Talking unravels fears. Chandraprabha, 40, who like many people here uses only one name, avoided her hourly pills because she could not bear to look at a clock—it reminded her she was dying and her children would go to a stepmother she detested. Abdulaziz, 62, said what upset him more than death was that he felt too unclean to pray. “My body is not pure," Abdulaziz mourned. “Also, because of the bandage, it’s difficult to bathe." He had sung the call to prayer at his mosque for 20 years, but had to stop in January when mouth cancer left him able only to mutter. Then the aggressive tumour ate through his face, making a beefy crater as if a firecracker tucked in his cheek had gone off. Then, worse: a fly got under his bandage, and maggots began emerging, leading his imam to “excuse" him from attendance. That was something Dr Rajagopal’s team could help with—cleaning out the ghastly invaders. And the six morphine pills Abdulaziz takes daily have taken away what he called “a catching pain, like a fish hook in my face." As the cancer advances, Abdulaziz will presumably need more—some patients take 15 times his dose without even getting drowsy. 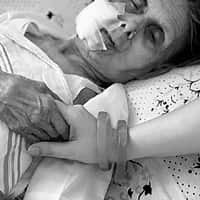 As the cancer crushes his trachea and oesophagus, the palliative care team will give him, unless he refuses, a nasal tube to his stomach for a rice and pill slurry. Then, if he wishes, a tracheotomy tube. As his lymph glands swell, cutting off arteries to his brain, the team may offer steroids. And finally, as he slips away, more morphine to fight the panic of breathlessness. Treating pain alone is not enough, Dr Rajagopal explains. As a young anaesthesiologist, he helped a professor with a cheek tumour byinjecting alcohol to kill the nerve. It worked—but the professor hanged himself two nights later. “I learnt from his cousin that the fact that I had treated him for his pain alonewas what told him his condition was incurable," Dr Rajagopal said, still feeling guilty about it. “None of us had ever asked him what he knew about his disease, or how he felt. If only we had, maybe his children could have had their father for a couple of years more." Dr Rajagopal has a mordant wit. He describes first-level Indian medical education as “a licence to kill," and when an interviewer mentioned having had four hernia operations, he mused sympathetically, “It’s addictive, isn’t it?" “Since the 1980s, the government has paid lip service to palliative care," he said. “But things change slowly here." “If you breathe enough, as you are not used to it, you’ll become sleepy," said V.K. Harit, the plant’s chief scientific officer, while leading a tour. The stone floors of the packaging room are slippery with brown ooze as workers chop up huge blocks resembling mocha fudge, wrap them in newspaper and stuff them into boxes—in this case bound for the Mallinckrodt Inc. in St Louis, which makes morphine. Farmers in Australia and France for example, harvest dried pods by machine. It’s faster, but “straw extract" has fewer alkaloids than opium bled by handout of lanced bulbs. Permission to visit the Neemuch plant—its elder brother in Ghazipur was described in 1889 by a young Rudyard Kipling—took many letters, and then, after the tour began, photographs were banned, as was seeing the room where morphine is refined. Jagjit Pavadia, the national narcotics commissioner, whose office is decorated with a spray of dried poppies, defended the business, saying she would make more morphine if only doctors would request it. “We’re growing poppy—why would we not want to use it?" she asked. In Neemuch, a mid-level plant official groused privately that he thought India had been “stuck with the world’s dirty work"—growing opium mostly for foreign producers. About 62,000 farmers have opium licences, which are powerful status symbols. The government pays cash, “so if you have one, you can get a bank loan easily," said Ramchandra Nagda, 66, a grower. “Or if you want to get married, no one in the bride’s family will question your worth." Although cancer is growing as a global killer, morphine demand has grown little. In rich countries, morphine faces competition from heavily marketed rivals such as fentanyl patches. In poor countries, no one lobbies for it. Cipla Ltd, the largest pharmaceutical company in India, makes tablets from government morphine to sell at 1.7 cents (Rs0.69) each or provide free at its own hospice. At those prices, said Yusuf Hamied, Cipla’s chairman, and with the licensing difficulties that narcotics face, “I’m happy to export, but I’m not going to build a market in other countries." Pavadia disputes estimates that a quarter of the crop is diverted, but her bureau has seized 1,200 pounds of heroin recently and raided 64 secret laboratories. “The more you grow, the more you have to control to make sure it doesn’t get into the wrong hands," she said. Dr Rajagopal argues that such crimes should not tar medical uses. A clinic he founded in northern Kerala tracked all pills issued to 1,723 patients over two years and found none diverted. Lobbying is also part of Dr Rajagopal’s mission, but India’s chaotic government complicates that. For example, while the national health ministry endorses morphine, some of its own officers undermine its use. Dr Rajagopal showed a memo from another palliative care doctor describing a meeting with a high-ranking political appointee in health, a recent transfer from the department of industry. The health official had insisted that morphine be dispensed only by the country’s 28 regional cancer hospitals, even while acknowledging that some refuse to stock it. None would be issued to independent groups. That split in his own department was news even to the health minister Anbumani Ramadoss. In an interview in New Delhi in June, he described his plans to give more emphasis to pain relief in the national cancer plan then before the Parliament. Then he was handed the memo. He read it over and smiled. “It’s good you gave me this," he said. “It may change the national strategy." Told of this by an email message that evening, Dr Rajagopal said he was “dancing about" with happiness. Last month, Ramadoss was reported to have intervened in Parliament to increase the national cancer plan’s budget for palliative care. “Soon," Dr Rajagopal said, “we may hear some good news after all."